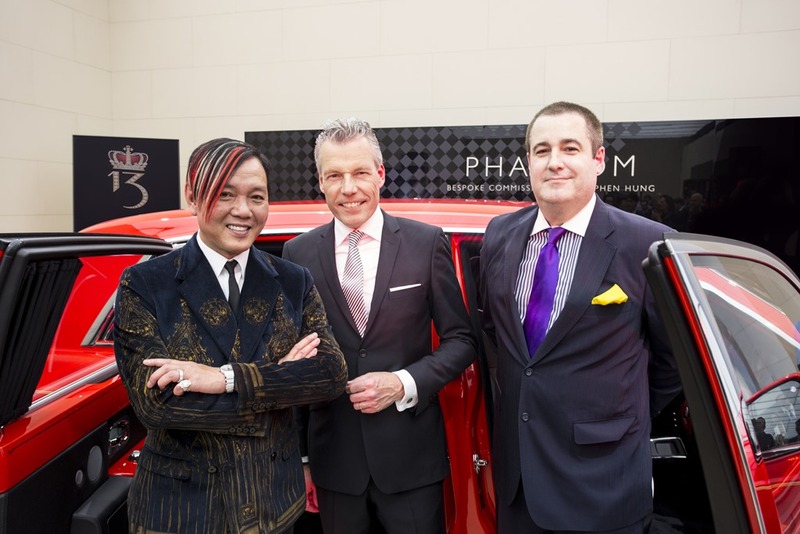 The first of 30 highly Bespoke, Extended Wheelbase Rolls-Royce Phantoms, exclusively handcrafted for THE 13 hotel in Macau, has been handed over to Stephen Hung, Joint Chairman of Louis XIII Holdings, today at the 2016 Geneva International Motor Show. The stunning motor car, conceived and crafted in close collaboration with Mr Hung is one of a fleet of 30 extraordinary Bespoke Phantoms that represent the largest single commission in Rolls-Royce history. THE 13’s Rolls-Royce Phantoms are adorned with a specially formulated ‘Stephen Red’ exterior paint. The motor car’s exterior is complemented by a hand-painted twin-coachline in gold that culminates in a specially designed motif. The Bespoke 21” wheels are also finished in ‘Stephen Red’. On opening the coach doors, the stunning exterior theme is elegantly echoed in an exquisitely crafted interior. A specially developed wood staining technique evokes the ‘Stephen Red’ colour scheme, whilst hand-applied Gold inlays serve to echo the coachline. Extraordinary attention to detail informs every Rolls-Royce Bespoke design. This is boldly expressed in a beautiful treatment of the instrument dials and clock with both playing on THE 13’s red and gold theme. The clock was designed in collaboration with master jeweller Graff. Detail touches such as; seat piping in Arctic White and ‘RR’ logos in gold balance perfectly with the Black main interior leather scheme. A chequered pattern integrated to the rear seats, created at the request of Stephen Hung to echo the entrance hall motif of THE 13, is the result of an exhaustive process without compromising on comfort or quality. Every possible concession to passenger comfort has been made. For example, a refrigerator housed between the rear seats has been commissioned to ensure guests are always able to effortlessly reach for a bottle of water or a cold towel whilst hand-milled up holders serve as the perfect place to hold a glass of Champagne. Specially commissioned door panniers have been added to house a tissue box ensuring every accoutrement is available to guests seeking to refresh after a long flight. Rear picnic tables presented in ‘Stephen Red’ and finished with hand-applied Gold inlays discreetly house Phantom’s suite of cutting-edge entertainment technology. The interior scheme is completed with one of the marque’s most enduringly popular Bespoke design flourishes, the Starlight Headliner, an exhaustively crafted expression of the heavens over Macau on the night of THE 13’s ground breaking, formed of 1,360 individually hand-woven fibre-optic lights that serves to bathe occupants in a warm celestial glow. 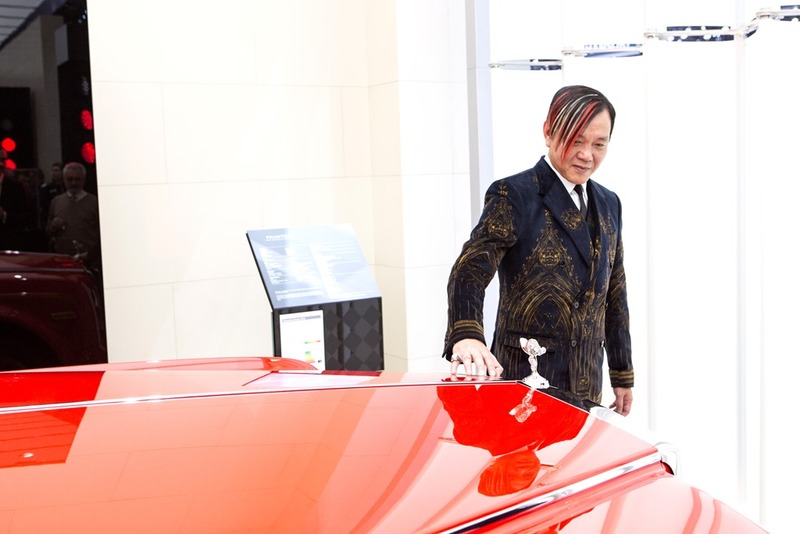 Rolls-Royce Motor Cars’ and Stephen Hung’s shared commitment to attention to detail is also expressed in a Bespoke take on the umbrellas housed in the rear door which are presented in the signature black and gold theme seen throughout the fleet and designs for THE 13 hotel. 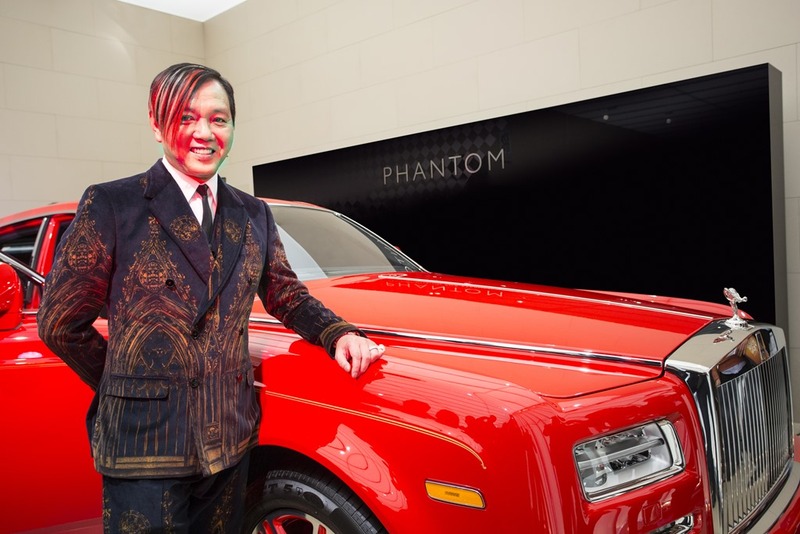 Mr Hung’s commission for 30 Phantom Extended Wheelbase motor cars, two of which were, at the time of commissioning, the most expensive motor cars ever built by Rolls-Royce, was announced in September 2014. These two special motor cars feature gold Spirits of Ecstasy’s, gold Parthenon Grilles, gold interior accents and diamond encrusted Rolls-Royce badges, which have been painstakingly crafted at the Home of Rolls-Royce in Goodwood, England. Additionally, the ‘Stephen Red’ paint on the two special ‘Gold’ Phantoms is infused with fine particles of pure gold. All 30 Rolls-Royce Phantoms will all be delivered to THE 13 hotel before it opens in late summer 2016.